Identify SQL Server performance problems in the development cycle. Database changes can work well in a test environment but cause significant performance issues when rolled out to production. Performance problems can lead to lost productivity and lost data, as well as significant time spent by database administrators (DBAs) chasing down the problem. 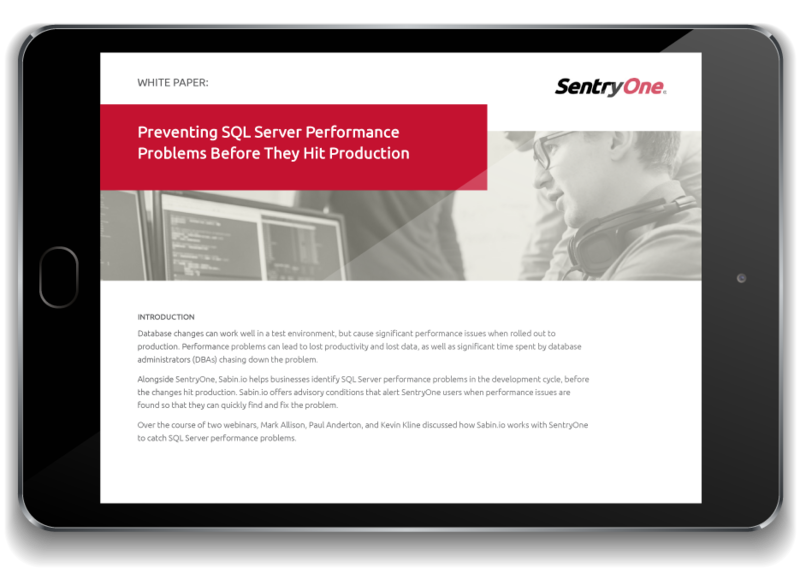 Alongside SentryOne, Sabin.io helps businesses identify SQL Server performance problems in the development cycle before the changes hit production. Mark Allison, Paul Anderton, and Kevin Kline discuss how Sabin.io works with SentryOne to catch SQL Server performance problems.